​We interviewed our director Emma Louise McCauley Tinniswood to find out a little bit more about our upcoming production of Goodnight Mr Tom. Emma has been teaching, directing, writing and producing for 20 years and is artistic director and founder of Step On Stage. Why did you choose to do Goodnight Mr Tom? I’ve always loved the book Goodnight Mr Tom, and especially the movie with John Thaw. I’m fascinated by stories set in World War Two, probably because of the things that my mum, who was a little girl in the war, and my grandma told me. I really enjoy stories set in this period, but that aren’t solely focussed on the war but explore life at the time instead. This has also been the inspiration for my own writing. I love the relationships and friendship between Mr Tom and William and the other villagers. I think there’s an important lesson about how children and adults can both learn from each other. How long have you been working on this for? Its usually about a years worth of work, working on a show. There's a lot that has to be done in advance such as booking the theatre, organising the creative team, getting licenses sorted. But then also the research, deciding on the plan for set and costume design, organising budgets, rehearsal schedules, booking spaces, planning gala night, inviting guests, thinking about marketing plans and organising people to photograph and video, and just planning a show. Most people only see the 3 months of rehearsals leading up to the show, and not the other 9 months of work behind it. I love working with young people because of their enthusiasm, passion and energy. I love bouncing ideas and we have some good laughs in lessons and rehearsals. It's great to see students getting involved and excited over projects, learning new skills and they often have a lot to teach us too. I love the theatre and history and I am very passionate about sharing this love with others. I think the theatre and arts are a great way to teach history. How did you set the play? There are a lot of scenes in this play in a lot of different locations, so trying to find a set that works and a set that can change very quickly has been a challenge. Also, with an ensemble cast playing different roles planning out the costumes and quick costume changes is always a bit of a challenge too. We therefore opted to have a set which could turn into several locations quickly and easily. We then add chairs, tables and props to suggest the location along with the lighting design to create a sense of time and place. So therefore the stairs can be the stairs in Mr Toms House, but also stairs to the basement, or stairs in a school, or the stairs into the underground bomb shelter. What is your favourite part of the play? It got to be when William says, ‘I love you Dad’, this gets me every time. But I also love the moments when William develops his friendships with the other children and adults, as these are probably the first relationships and friendships that he has ever had. I think it's particularly poignant in the scene with his surprise birthday party, you can see how genuinely happy he is, but also how overwhelming it is as well. Why did you choose to include ensemble sections? I love ensemble theatre and I really like the work that can be created through a whole company working together in an ensemble way. I’ve always been interested in Greek theatre and their use of the chorus. I enjoy the work that develops and the ideas that can be created when a group work together and I often will see shows at the theatre specifically for ensemble work. There’s so much scope for the images that can be created on stage, as well as the scenes and the world that can be created. I very much enjoy productions which have ensemble casts and I tend to use them in the productions that I direct, but also in the plays that I write as well. I recently saw Medea at The National Theatre which I loved, as well as a play called Common which had a big ensemble. But it can also be a challenge, working with so many people all the time. How did you decide to do the costume? Myself and the costume designer, Trudie, have spent a lot of time looking at pictures of the period, cottages, villages and people over the last few months as well as watching 1940's films and TV shows. As the majority of actors play lots of different roles, we need to find a costume that can easily be changed, for multiple characters and quick changes. So many have a basic costume that we then add different coats, jackets, hats, scarves and bags to. We wanted to make it historically as accurate as possible, so we are using some lovely vintage pieces from the 1930’s and 1940’s as well, including a real 140’s gas mask and a real 1940’s haversack for Mr Tom. Its fun searching ebay but also raiding charity shops and getting pieces specially made. Why did you decide to double cast the production? I wanted to double cast some parts to allow for more people to have the opportunity of taking on a larger role, but also in case of illness then we had cover for the principal roles. We also asked Emma about her work in the theatre and what her career as been like so far! Emma started dancing when she was 3 at the Elmhurst School of Dancing. This fostered a love of performing and she has spent her life involved in the arts ever since – dancing, music and theatre. She studied Drama and Music at Royal Holloway University as well as the Central School of Speech and Drama. She is a qualified teacher and also has a Masters degree in History - so life is never dull! She has worked in the theatre, preparatory and secondary schools and youth theatres as well as being an examiner for LAMDA. She founded Step On Stage in 2005 and the youth theatre company in 2008. Emma has over 20 years of experience working in theatre as a teacher, director, producer and performer and has directed over 150 youth theatre productions including Annie Get Your Gun, The Merchant of Venice, Oliver, Alice In Wonderland, The Waterbabies, Look Back In Anger, My Mother Said I Never Should, Little Shop of Horrors and Romeo and Juliet, to name just a few. Emma also writes for theatre has several published monologues and duologues, including pieces for LAMDA. 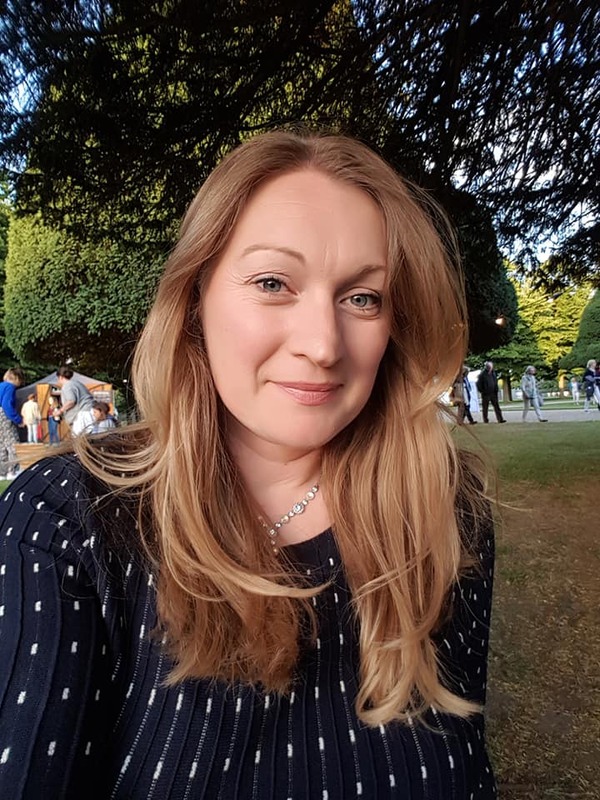 She writes regularly for youth theatre and Step On Stage Productions have performed her plays for examinations as well as the Leatherhead and Woking Drama Festivals. The plays are often inspired by historical events or time periods. Emma is currently working on a collection of monologues and duologues for young performers, and two new plays – Hope set in WW2 and Sing Little Cuckoo about the life of Nellie Bly. When Emma is not in the theatre she is doing historical research, researching genealogy and house histories, writing articles for history societies and publications as well as travelling and taking thousands of photographs for her travel blog.